The debut of Netflix’s Stranger Things is just a few weeks away, and while this new trailer gives us a glimpse of its biggest-name star, Winona Ryder, it focuses on the four boys and mysterious girl who are the real focus of this E.T.-meets-Close Encounters of the Third Kind-meets-”basically everything Steven Spielberg was thinking about in the 1980s” story. And check out the poster! All that’s missing is one of those kids on his BMX bike sailing across that eerie moon. 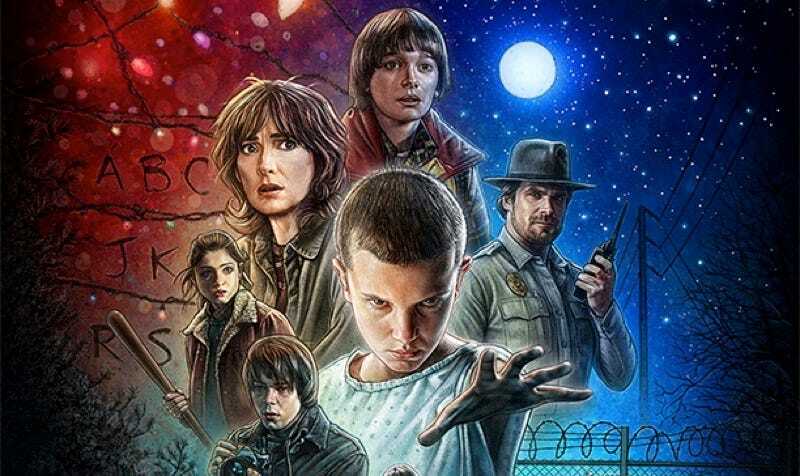 All eight episodes of Stranger Things will be up on Netflix starting July 15—and we cannot wait to inhale all of ’em in one sitting. BYO Reese’s Pieces.